Excess heat on a summer day can wreak havoc on your lawn and landscape! Using too much water on the hot turf, can cause damage to the root zone! 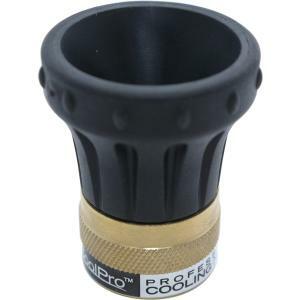 The Underhill Precision CoolPro nozzle is designed for low flow, 4 - 6 GPM, for lightly misting the turf canopy to cool without placing too much water on the turf and damaging the root zone. At low pressures it produces an extra light cone shaped pattern, while at high pressure (80 PSI) it produces a fog pattern for cooling your plants or turf.